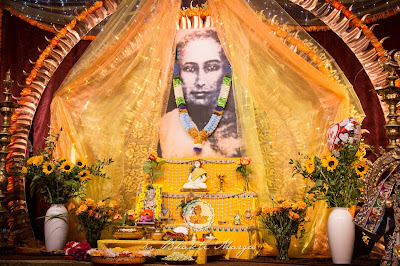 The Babaji Day event is an evening that recognises Mahavatar Kriya Babaji for all the Grace and guidance He provides. Occurring on November 30th, it marks the day that Babaji decided to remain in His body and continue in assisting the spiritual development of mankind. Through the blessing of Atma Kriya Yoga, Mahavatar Babaji and Sri Swami Vishwananda work together to uplift the consciousness of humanity to the state of divinity. The 2015 Babaji Day celebration at Shree Peetha Nilaya began with Paduka Abishekam, which included Guru Puja to Sri Swami Vishwananda, and then a Kalash Puja dedicated to Mahavatar Babaji. As Babaji Himself has promised to be present whenever His Name is spoken thrice, the atmosphere of the hall perceptibly verified this. 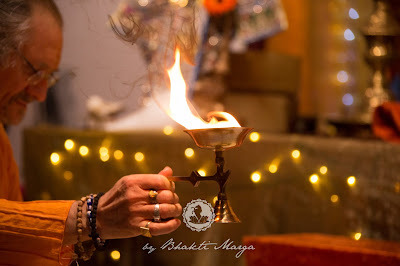 The night included bhajans, a reading and talk about Babaji, group Atma Kriya Yoga practice, and Sri Swami Vishwananda sharing his wisdom about Mahavatar Babaji and the Grace of Kriya Yoga. “Know that whatever you do you are not alone. 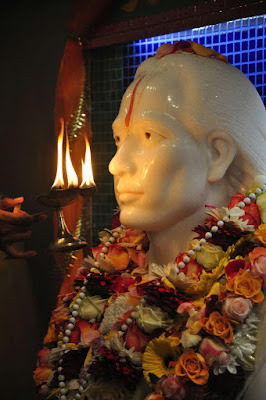 You have the Grace of Mahavatar Babaji with you, one of the greatest avatars who have ever walked the Earth, which is still alive, which is still here. 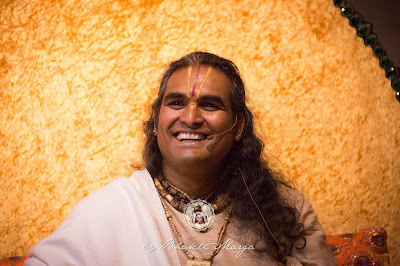 When you are practicing (Atma Kriya Yoga), know that He is with you, know that I am with you and know that all the kriya saints and sages are with you. 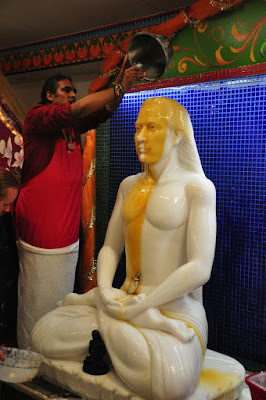 This is the blessing that you were given while receiving the Shaktipat. The Shaktipat is not just the transfer of the energy to you. It’s not just a key of unlocking. It’s a transfer of the Master's Grace to you. Each one of you who practices kriya, you hold upon that Grace inside of you, you have it. That’s why Babaji said that you are all yogis, because He has made you His yogis. You carry His Grace and blessing with you. So, that’s the blessing, that after this life, you will attain Him. And if you don’t succeed in attaining Him in this life, He will help you. Of course, if your karma is too high...if you have a billion lifetimes of karma, then the Grace will carry on in the next life, just as it has carried on from the last life to this life. Because throughout lives, all these thousands of years, you have been practicing. And because He wanted you to know about Him, He has graced you with His blessing of knowing Him. And above all, He has graced you with the supreme blessing of bhakti. Babaji Day is the perfect reminder for how blessed each of our lives are. It is a day to simply be thankful for everything we've received, no matter how small. 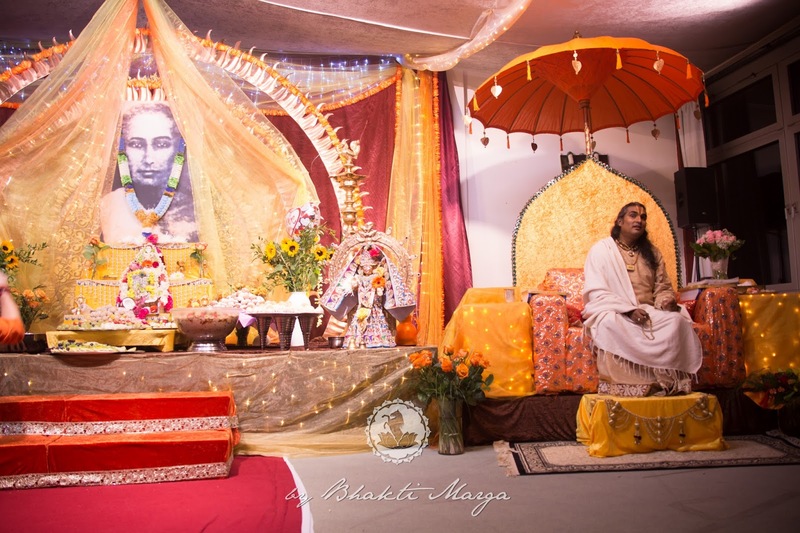 Mahavatar Babaji and Sri Swami Vishwananda work hand-in-hand to help all of us attain the Lotus Feet of the Lord. By practicing Atma Kriya Yoga and by connecting to the Divine Masters who have already realised the ultimate Truth, we are given the Grace to experience the Love of God at its highest state. Babaji continuously blesses the world and yet remains humbly hidden, ever waiting for us to discover Him in the place that is most vital ̶ the heart. A couple days after Babaji Day, Sri Swami Vishwananda traveled to Finland to inaugurate a new Mahavatar Babaji temple. The temple is located is Helsinki, the southern capital of Finland. 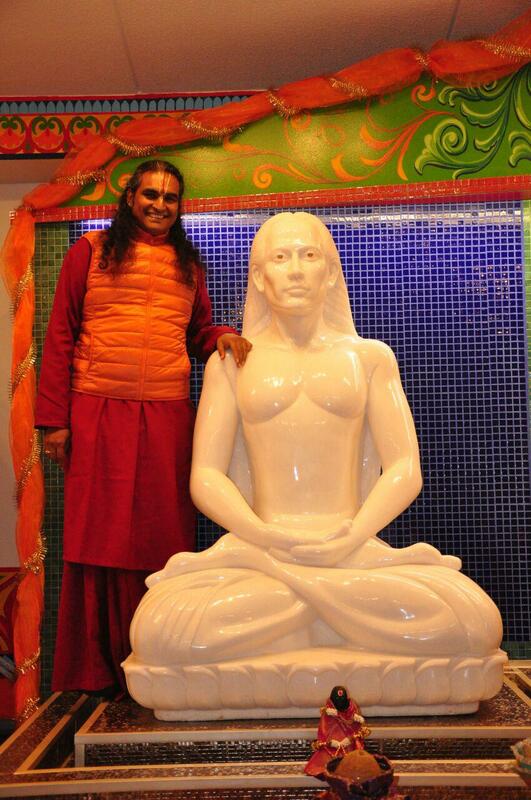 As you can see from the picture, the murti of Babaji is both exquisite and substantial. The devotees of Finland have been greatly blessed to now have an official home for Babaji, a place where they can always visit and spend their time in the presence of one of the greatest avatars to have ever incarnated. With the blessing of Sri Swami Vishwananda, the recently inaugurated Babaji temple has become a beacon of light for the Finland devotees, and inevitably, for the rest of the world.